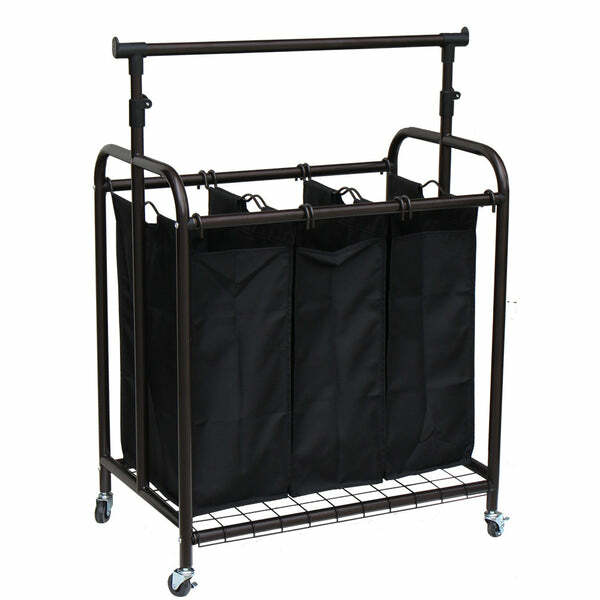 Oceanstar 3-Bag Rolling Laundry Sorter with Adjustable Hanging Bar, Br (bath, closet, laundry, oceanstar) | Hamper | Oceanstar Design Group Inc. The perfect solution for all of your laundry tasks has arrived. 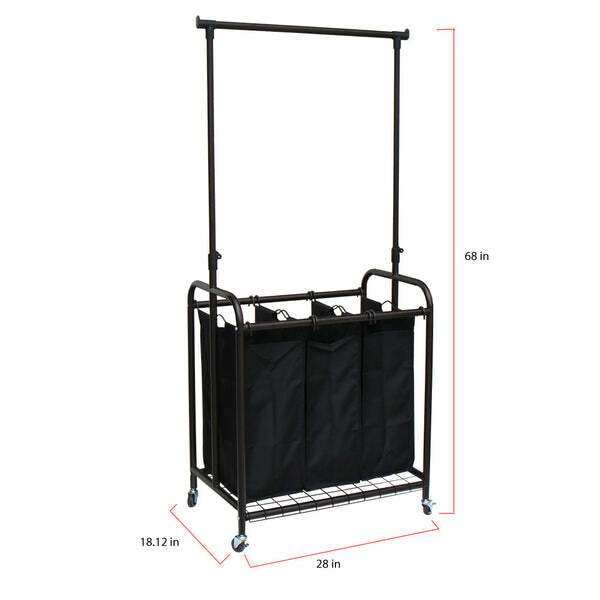 The Oceanstar 3-Bag Rolling Laundry Sorter with Adjustable Hanging Bar not only organizes your laundry effortlessly but also greatly helps save you time. 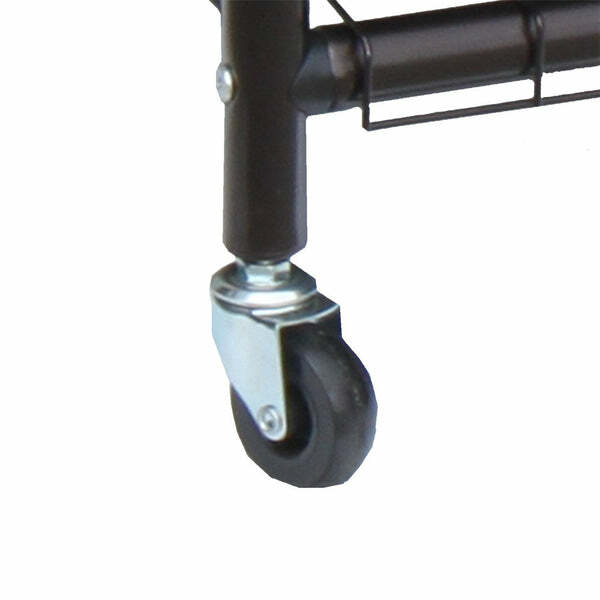 The wheels allow for smooth and easy mobility to go from room to room. 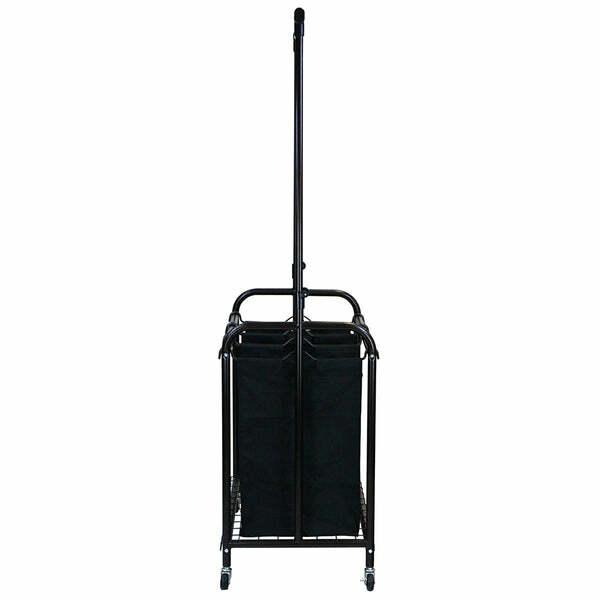 It features 3 removable bags that you can just grab and go. 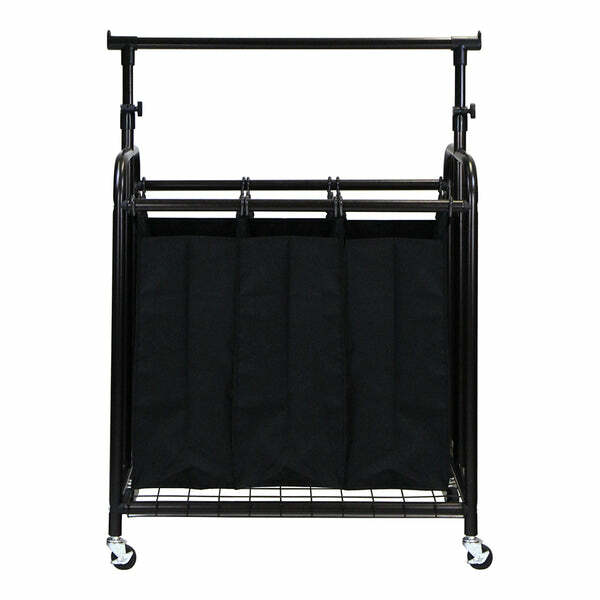 The adjustable hanging bar offers additional storage to hang extra clothing. 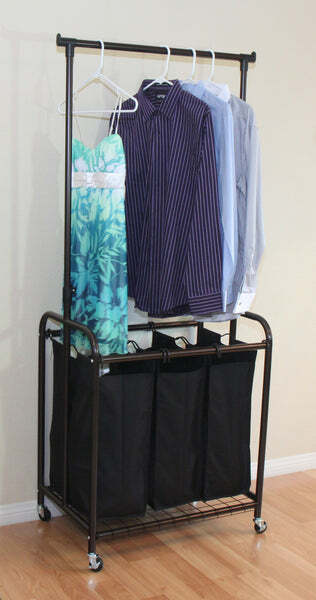 Effortlessly sort and organize your laundry by colors, towels, beddings, etc as you go. 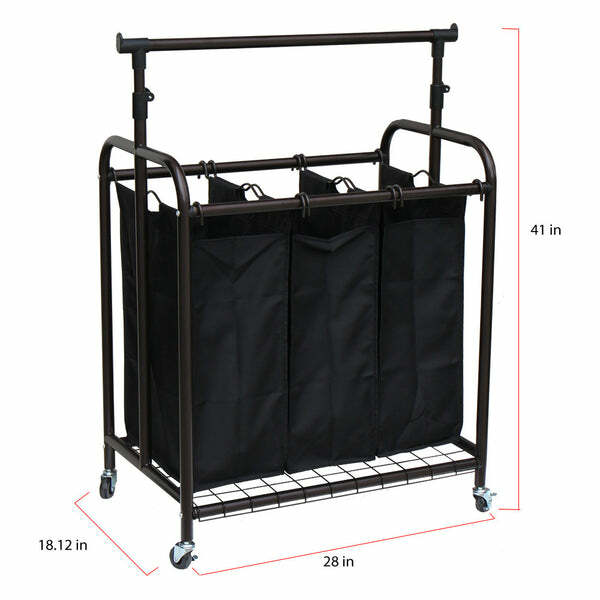 The Oceanstar 3-Bag Rolling Laundry Sorter with Adjustable Hanging Bar is the perfect addition for big families, individual use, houses, or dorms. Doing your laundry has never been this effortless. 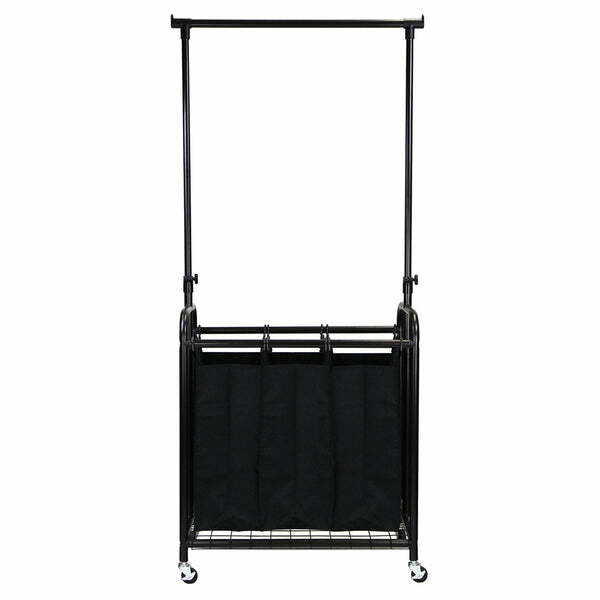 Adjustable hanging bar for extra storage of hanging clothes or towels..etc. 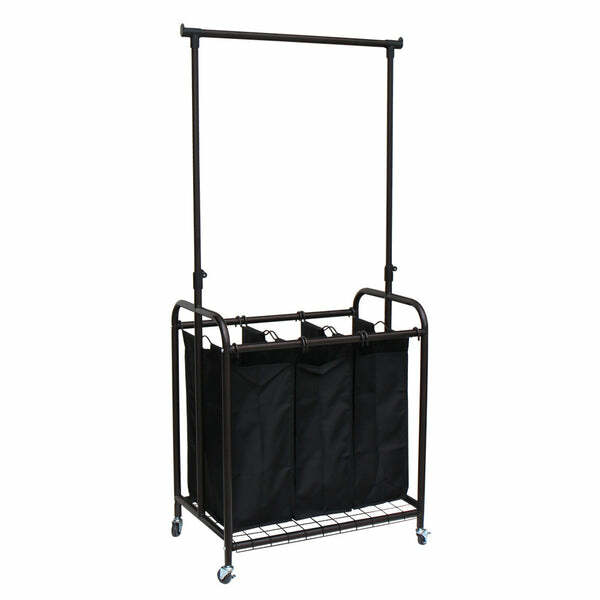 Perfect for big families, individual use, dorms, apartments..etc.